SRAM has just announced the acquisition of PowerTap, inclusive of their entire lineup of power meters (wheel hubs, pedals, and chainrings). 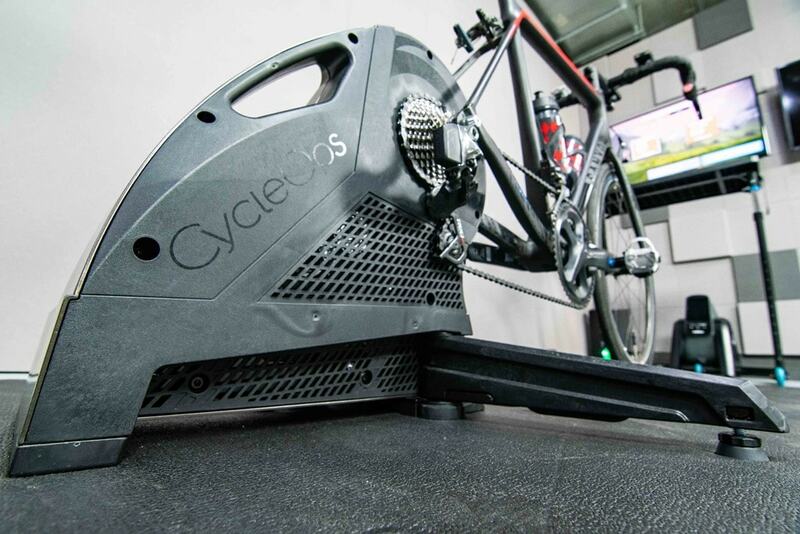 The acquisition is not inclusive of the CycleOps trainer brand, nor of the Saris rack brands. Both of those will continue to be owned by Saris. While SRAM has technically made the acquisition, it sounds like the end-state home will really be Quarq, based in Spearfish, SD. Quarq of course makes power meters, as well as other cycling technology tidbits like the Quarq Qollector and TyreWiz products. At present, from a power meter standpoint, there’s very little direct overlap between the measurement points of the two companies. 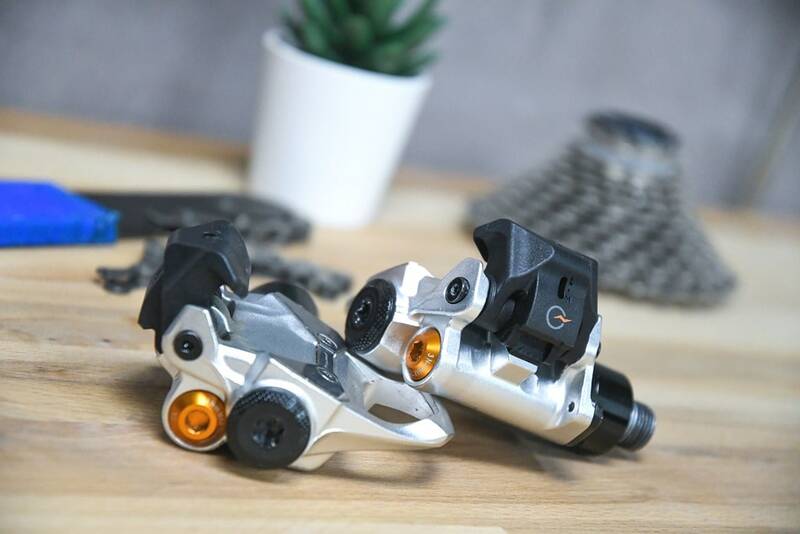 Quarq doesn’t make power meter pedals or wheel hubs, though they do both compete in the crank spider-ish region (Quarq’s are based on the crank spider, whereas PowerTap’s C1 chainring unit that’s largely been phased out is nearby in that area). In talking to both companies, it’s clear that for the immediate 4-6 week future there’s no real impact to existing PowerTap customers. PowerTap will continue to manufacture, sell, and support the products. The key there being they do indeed continue to keep making these products. Certainly there’s been discussion around where the PowerTap P2 pedals fit into the market and whether they were falling behind – but ultimately, people are still buying them. Starting sometime in May, Quarq employees will take over support from PowerTap, and handle all service and support from their existing Quarq facilities. Eventually (longer term, many months), they’ll be doing more global support as well throughout existing SRAM facilities. That’s long been a sticking point for certain geographies outside the US and Europe. Quarq says better global support is high on their list to get sorted. Jim Meyer, co-founder of Quarq noted that “All PowerTap product lines will come to the Spearfish location, and we’ll do sales, service, and manufacturing”. With the caveat that going forward, only the PowerTap pedals and hub products will continue manufacturing – with the C1 chainring being discontinued (support will continue for those products). Additionally, while Quarq has acquired the assets related to the PowerCal strap and speed sensors, there’s no specific plans at this time for those. Jim says that they’ll not only continue to make the PowerTap products, but plan to continue investing in those product lines for new models down the road, saying they “want to invest in the pedal family”. The product names will stay as-is, and Quarq sees those simply as model names, just like ‘DZero’ is a model name – the PowerTap P2 pedal is a model now for Quarq. They said that once they’ve had time to sort out understanding the engineering on the P2 pedal, they’ll look at next steps for what would presumably be called a P3 pedal. Further, last year at Eurobike, PowerTap showed off early designs of their PowerTap G4 hub for disc brake systems. Jim noted that “Overall the G4 hub we like, and it’s one of the attractive things about the acquisition”, and says they absolutely plan to make that product. However, keep in mind any timing that PowerTap had somewhat goes out the window now (which, is logical, since we’re already months beyond those stated timelines). He said they need to sort out understanding the product fully first before they can commit to any exact time frames for release, as well as any tweaks they might make to it. 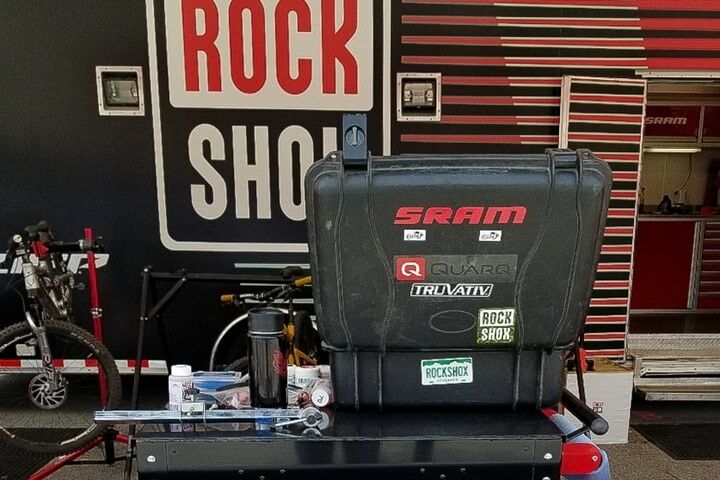 From PowerTap’s standpoint, they felt that SRAM was in a better position longer-term than they were to be in the power meter industry, especially as the inevitable shift occurs towards power meters becoming more and more handled at the OEM/bike level than individual power meter companies. This is a sentiment I’ve heard echoed by other major power meter brands over the last 6-8 months, as they all seem to be stepping up their longer-term diversification efforts. In some ways, the more interesting thing here is what the next steps for CycleOps will be, which was of course paired to the hip with PowerTap, both being entities within the Saris umbrella. The two companies shared engineers and support staff. The same engineer that worked on the PowerTap pedals would turn around and work on the CycleOps Hammer. Which might make it somewhat expected that no people are being transferred to SRAM as part of this acquisition. This is purely an assets transfer of IP (intellectual property) and related, and not any sort of employee transfer. As such, Saris notes that no loss of jobs will occur, as instead those responsible for PowerTap functions (partially or otherwise) will simply transition full time to focusing on CycleOps. So why make the sale? In talking with them, they see this as a way to focus deeper on the indoor training space, as well as the Saris rack spaces. Both of which are markets that are growing faster. Further, they’re also looking at other business areas that may be ripe for acquisition and/or investment. Obviously, since now they’ve got some extra cash lying around (the acquisition officially closed yesterday). Of course, I know a number of people (myself included) feel that the trainer side of the CycleOps business has somewhat been neglected the past couple years. We haven’t really seen significant product releases, though, they did tease the CycleOps platform last summer at Eurobike. In discussing that with CEO Jeff Frehner, he seemed optimistic for the future. This move effectively frees them of the resource strain that is supporting these two product lines, and gives them flexibility, noting that “this affords us the opportunity to double-down on a very hot part of the park, and we’ve got some things coming that I’m really proud of and excited about at Eurobike ”. Eurobike is the first week of September this year. And again, now that they get those resources back from the PowerTap side of the house, they should be able to re-focus on the indoor trainer space. Certainly, I think a lot of people are looking forward to that, and looking forward to seeing what comes from the company later this year. It would seem like there must be a link between these two events? There might very roughly be at a general level, but definitely not the specifics of today exactly. Lots of dates were floated. It just sorta ended up today. Wanted to see who owned the patent, I mean. It expired in June 2018. For an expired patent, Google Patents shows the current date and “Application status is Expired – Lifetime” as the last event. Hopefully that link works, but according to that the patent has been assigned 4 times. The first assignment, back in November 1998, looks like it was used as collateral for a loan as a security assgnment. Then in Feb/Mar of 1999, it was assigned again and looks like it went through some legal finagling to end up with the tune corporation, and finally was bought in 2001 by Graber products (which I believe is parent company for PowerTap, Saris, Cycleops). I don’t know if there will be another assignment for the patent because 1. it’s expired anyway and 2. I don’t know the nature of the Sram purchase exaclty, whether they purchased a brand (sounds like that’s what they’re saying), or it could legally be that they’ve purchased a seperate entity that (may) continue to hold its own patents (and could thus be held and spun off/sold at a later time). The patent was owned by Saris/Powertap which was formerly Graber. The expiration of the patent means that now other companies can make hub mounted power meters without infringing on the patent rights. If the future of power meters is that they will be part of a groupset, then maybe this technology will wither, but as far as I know, this patent was one of the reasons that you have 10+ companies making crank power meters, several pedal power meters, but only one company, the patent holder PowerTap, making hub power meters. I will be interested to see if any other companies pursue this approach as it has some accuracy advantages. I cant help but speculate on the value add for Quark. Having a pedal and hub PM would fill out pretty much a full range of PM devices. BUT, what if Quark were to develop a bottom bracket PM? Thinking some of the tech of the P1 and hub may factor into creating such a product. A BB-based PM wouldnt lock you into a specific crank setup, beyond BB type, and would negate the throw away ring concept Quark/SRAM have come up with (kinda backwards to me). Also, it would make a PM as easy/ubiquitous for bike makers to install as standard equipment on every bike type. Even eBikes use a crank and would benefit sending/collecting data to the processor. This could be used for future electronic drive trains, virtually shifting as needed. Or, maybe I am over thinking it. As usual. Still, I would like a BB-based PM. Cant be any worse than my Vector 3 setup (ugh). I wouldn’t expect them to go the BB direction, just doesn’t fit with the premium end of the brand that SRAM is trending towards these days. Can someone explain that? Why does the spindle only get strain from one leg? Since it joins both arms together why does it not see both? As the right crank arm is connected directly to the chainring it doesn’t transmit power through the spindle in any particularly measurable way. As such you only get the left side’s contribution. There are ways around this but they get tricky. > Even eBikes use a crank and would benefit sending/collecting data to the processor. That market isn’t exactly new, a Thun XCell RT (“RT” is the model variant that also measures torque and not just RPM) for example goes for as little as 150€ on eBay. They have it, they just don’t make as much of a fuzz about power measurement as us fitness nerds. SRM-grade accuracy is unimportant there, it’s a completely separated parallel universe where the feared dcr analyzer software is powerless. This is inaccurate. Servicing turnaround for pedals across Europe has been within 14 working days for the last 12 months. Good to know, though is that for all servicing aspects? I thought some things still have to go back to Wisconsin? Either way, 14 days is unacceptable IMHO for a power meter. Yes that’s for everything, no items have been going back for the last 12 months. 14 days is the max, sometimes customers disappear when a decision is required. Often it’s inside 7 days. Cool, good deal – noted above! I am going to miss the 2 minute drive when I need service. The Saris plant is just down the road from me. Does this make Cyclops more attractive for an acquisition by Zwift? Previously if Zwift bought Cyclops they may not have got the personnel if they were shared resources between Cyclops and Powertap, but now the Cyclops personnel would go to Zwift with Cyclops. chainsets and SPD-style pedal-based powermeters seem to still be years away, I hsd hoped the G4 would close that gap for gravelbikes. I agree with the sentiment… but have you seen this? I am running a 52 36 Powerbox with an adapter in a BSA/68 frame – I presume the subcompact BB386EVO powerbox would also work with the correct adapter! John – I’m using a Rotor 2inpower with a 46/30 on my Seven — definitely has a threaded BB. Wouldn’t the G3 Disc hub work for you? have a look at the p2m (power2max) NGeco MegaExo in 110mm bcd- i have a late first gen (picked up on close out as the S series were dropping) on a gossamer crank with the 110mm bcd that’s been absolutely solid indoors and out. When i was looking at it, i questioned how small of a ring setup i could go and the answer was pretty much if it fits, it’s not a problem. Pricing one out, you can have a praxis 40t single ring installed or a 46/36 or a 50/33 and have a 68mm BSA external bottom bracket shipped with it (mine is running in a dura bb just because). Mmm, very interesting. So I wonder what “The days of having one-off power meter products are somewhat numbered.” means for Favero, who have arguably the best pedal power meter but not many other products? I get the impression they’re a pretty small firm (though I also have the impression that Assiomas are selling strongly). Any thoughts Ray/ others? I see no problems for Favero in the near future, with their product quality and price point. Near future – no problems. Long term? Same exact position as even Garmin Vector – there’s going to be little reason for them to exist in a world where every crankset just has it built-in. Of course, that’ll take years. but it’ll also just take a single moment where Shimano decides to put it in their Ultegra lineup at the same/negligible price point. At which point, game-over for the power meter industry*. Does pedaling dynamics even work with crankset based meters? Isn’t the pedal spindle the ultimate location for power metrics? I think the tipping point would be putting in-bulit power meter in 105 grade or cheaper FSA components (Powerbox leads the way). So far it seems to be reserved for car priced bikes though. As of pedaling dynamics: I’m waiting for that day when someone explains how is it even half-useful. Thanks for your thoughts all. I love my Assiomas – if there’s no longer a need for them in a cutie of years though I’m sure the Favero team will come up with something else. Meanwhile: I like cycling dynamics! There are loads of exercises in trainerroad which say: and now, concentrate on the top quadrant. How does this affect them releasing the Thing? It allows them to focus on it. What’s the thing? How come i don’t know about the thing? A similar version of the “thing” exists already. The bike attaches at the fork and moves front to back and rocks side to side. PowerTap UK once looked at G3 hub for me and in the end I decided not to go ahead with the repair (the hub was old and I thought I’d put the money towards some pedals). When they returned the hub the had drilled a dirty big hole through the middle of the hub…….which was nice. I complained but they did nothing. Needless to say I’ve not purchased anything of theirs every since, not will I again. I’m looking forward to what Saris will bring to market next! We love the CycleOps Hammers. The article should say “Jim Meyer, co-founder of Quarq”…there were two of us that started, built and sold that company. Good catch Mieke – fixed! I dont see why pedal based power meters wouldn’t overtake the market indefinitely. Cheapest & easiest to use/produce while being maximumly dynamic and light. What’s the question here? Power meter pedals are unfortunately the most expensive and hardest to produce (by far, like, exponentially far). Yep. The most difficult place to nail the accuracy while maintaining easy, user friendly installation process. While pedal stroke analysis is a practical benefit with dual crank meters, you’ll never get true 3D metrics without measuring power at initial point of contact (foot/cleat). What if pedal meters were 1) inexpensive, 2) easy to manufacturer, and 3) simple to install. Wouldn’t you rather have 3D pedaling dynamics if you could? Pedal-based power is spectacularly useful when looking at physical fitness, but when it comes to aero optimization hub-based power shines given that it’s the most accurate measurement of the power used to overcome drag. Bingo, Andrew. I think SRAM’s interest in the PT hub may have something to do with developing some sort of aero measuring system. Quarq may be great as measuring your effort, but drivetrain loss vagaries means it’s no a good source for the power variable in a .cda computation. .cda computation doesn’t care how hard you’re pushing the pedals or how much you’re straining the crank arms, .cda computation cares how much power is being put to the pavement. The PT hub is the only tool available that reasonably accurately measures the latter. @Gary: “it’s no a good source for the power variable” is putting it too strongly isn’t it? Admittedly it’s the closest measurable power transmission source to the pavement, but from the pedals to the hub, the drivetrain losses are only a few watts, depending on your bearings and chain, whether or not you have an oversized pulley wheel on your rear derailleur (kidding) and the state of cleanliness and lubrication of your components, but more importantly, will not change from second to second, so should not affect your CDa readings insofar as they are advising your posture/bodyalignment efforts. I just purchased a C1 power meter because my Trimax crank is one of the few the C1 is compatible with. Wondering if that was a mistake from a support perspective now. Where did you get your C1? I understood they had all been allowed to be depleted in stock in retailers everywhere and you couldn’t get them any more. they’re still on powertaps website, I ordered one this year for the dedicated trainer frankenbike after (sorta) killing a stages unit in the woods. I just ordered a replacement ring set that should give me quite a few indoors seasons to come. Ray M., what would you say to someone who was just about to buy the C1 chain ring power meter? I like the pedals that I have and don’t want to replace my pedal / cleat system, and at USD349, the C1 seems like a great deal. This has nothing to do with this post, but it might be nice if you or ‘the girl’ has thoughts about Notre Dame to share. Feel free to delete this post, if you can. I have 2 Quarq crank power meters and I have the powertap PS1 pedals. The Quarq product is superior to the powertap. After 500lm of use the PS1 pedal decided to detach itself from the spindle (picture attached). Powertap had the pedal for 8 weeks and the repair is not flash – there is about 1mm of lateral movement on the pedal. Powertap have not responded to my emails if this is normal. Quarq produce great products – I don’t think they needed to buy into a company like Powertap. I really, really hope this leads to a Speedplay Zero based powermeter option. @ codyish: I’ve never heard anyone else ask for that. My wish exactly, too, so long as the implementation was well done. Last close try was the sadly lamented Brim Brothers, and I might have been ok with it if it worked, even though the cleat was shimmed up by about 3mm, as I remember. But a PM somehow hidden in the spindle itself???? Wow, that would be some engineering if they could get it to work. But there is absolutely no hint or between the lines reasoning that this takeover is headed in anything like this direction except that a PM company is acquiring more PMs to spread out the variety of types of PMs in its stable.